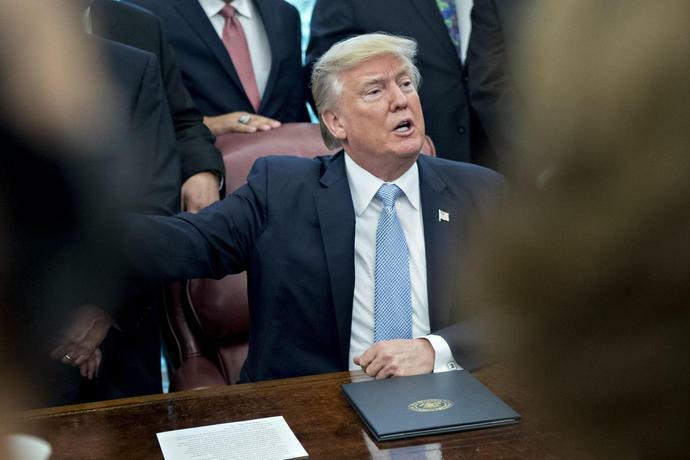 (Bloomberg) -- Vowing not to be "intimidated" by Donald Trump, the new Democratic chairman of the House Intelligence Committee said the panel will probe whether foreign governments or individuals had improper leverage over the president or his business interests. Representative Adam Schiff told reporters Wednesday that the panel will focus in part on "making sure that the policy of the United States is being driven by the national interest, and not by any financial entanglement, financial leverage, or other form of compromise" by "the Russians or the Saudis or anyone else." The committee's move under Schiff reflects a sea-change from last year, when Republicans controlled the panel and closed its investigation with a report asserting that the probe into Russian election interference now headed by Special Counsel Robert Mueller was tainted early on by anti-Trump bias. Democrats countered with their own report asserting Republicans were trying to "deflect attention away" from the president. Schiff scoffed Wednesday at Trump's assertion in his State of the Union speech on Tuesday that "an economic miracle is taking place in the United States -- and the only thing that can stop it are foolish wars, politics or ridiculous partisan investigations." The California lawmaker told reporters that the committee won't be "intimidated," adding "we're going to do our jobs. The president needs to do his." 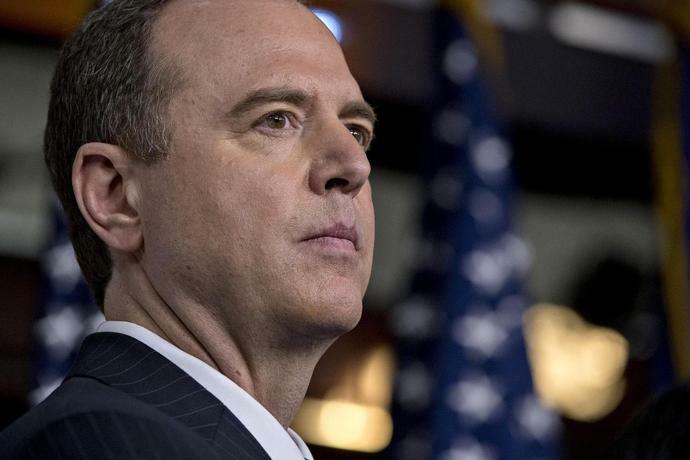 Schiff said in a written outline that under Republican control the committee began to pursue credible reports of money laundering and financial compromise related to the business interests of President Trump, his family, and his associates. But he said those avenues of inquiry weren't completed. In its first official meeting of the year on Wednesday, the committee voted behind closed doors to send Mueller additional transcripts from the more than 50 interviews the panel has conducted. Among those whose transcripts would be sent are Donald Trump Jr., Jared Kushner, the president's son-in-law, and former Trump strategist Stephen Bannon. Schiff said the panel hopes to make all of the transcripts public by May or June, after they are vetted for classified material. He said the transcripts could be used for purposes including "prosecutions for a false statement, or obstruction, or perjury, or any other like offense." Schiff also confirmed that closed-door testimony by Michael Cohen, Trump's former lawyer and fixer, has been delayed to Feb. 28 but didn't comment on why. Several congressional committees have been pushing for Cohen to testify publicly or privately before he's due to turn himself in on March 6 to begin serving a three-year prison sentence after pleading guilty to nine felonies.